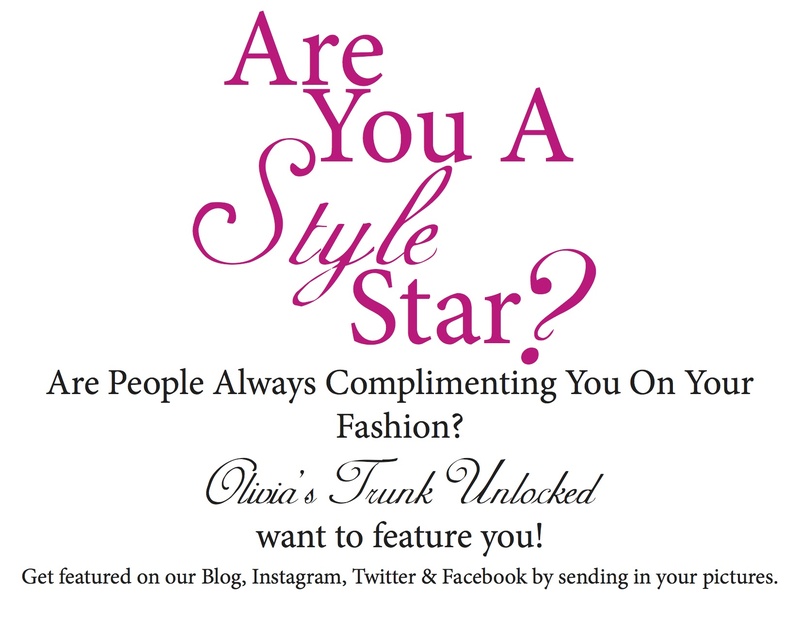 Are you a Style Star? We know we have a lot of fashionable followers and we want everyone to get a chance to see you too! Olivia’s Trunk Unlocked will be featuring some of our most stylish followers from around the world on our blog and all of our social media platforms. Images submitted will be featured on Facebook, Instagram, Twitter, or any of our social media platforms. Please be advised: once published, pictures will not be removed or taken down.